Efficiently carry your audio signals with this space-saving solution. 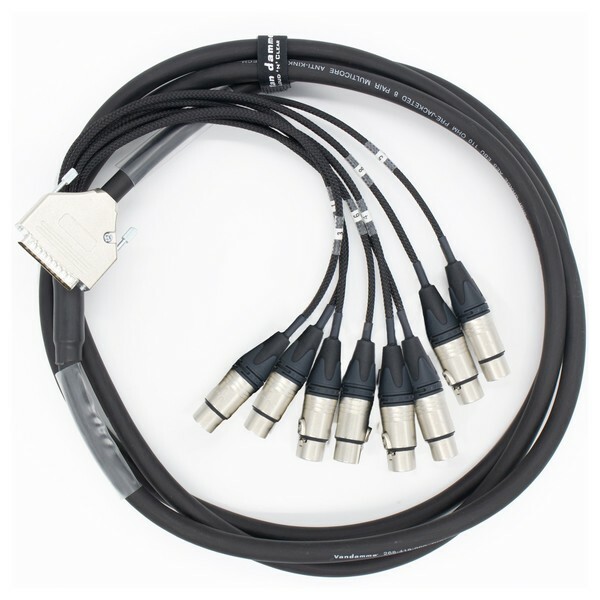 The Van Damme 3m 8 Pair Black AES Mic Cable 25 Pin DSUB - Neutrik NC3FXX allows you to send digital or analog signals where an XLR snake might be inefficient. It's great for sending XLR inputs into your digital mixing desk. Take control of DSUB's excellent efficiency. This multi-pin powerhouse is excellent for sending audio data down a dedicated cable. It's perfect for sending multiple microphone inputs and outputs down to your desk via a stage box. PVC coating means that this cable is incredibly rugged and can withstand serious abuse.